Still sending “Happy Holidays” or “Happy New Year” messages out? If so, this campaign is for you! 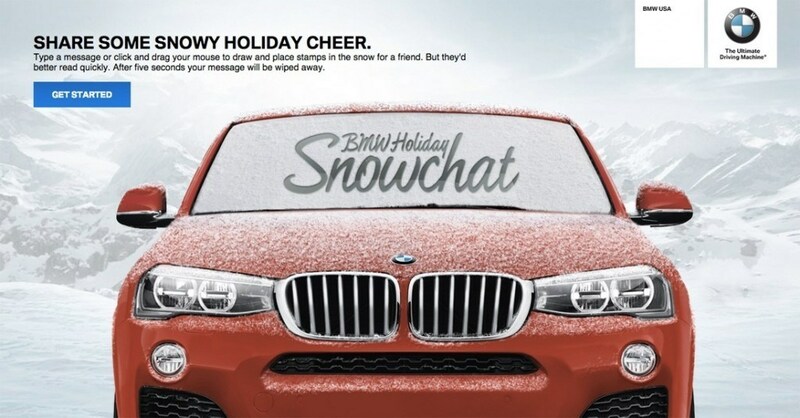 To celebrate the holidays and New Year, BMW is offering fans a unique way to send festive five second greetings with the Snowchat campaign. The campaign is hosted on a dedicated microsite, where consumers are invited to write, draw, or insert different holiday themed designs and messages on a festive red BMW X4 SUV with a snow-covered windshield. Fair warning—this process is slightly addicting with the numerous options available. Once finished, designs can be shared across Facebook, Twitter, and email. What’s unique about this campaign is once the Snowchat message is shared with the intended recipient, the car’s windshield wipers come alive and remove the message in five seconds. With the average attention span for consumers on social media being between 2.8–8 seconds, BMW’s campaign hits the happy medium with a snackable yet fun interaction. Visuals are processed 60,000 times faster than text alone, making the message easily absorbed in a short time frame. Plus, most consumers are more likely to view a personalized message from a friend, making the five seconds that much more captivating. From the campaign name to disappearing messages, BMW seems to be taking a page from Snapchat’s playbook. 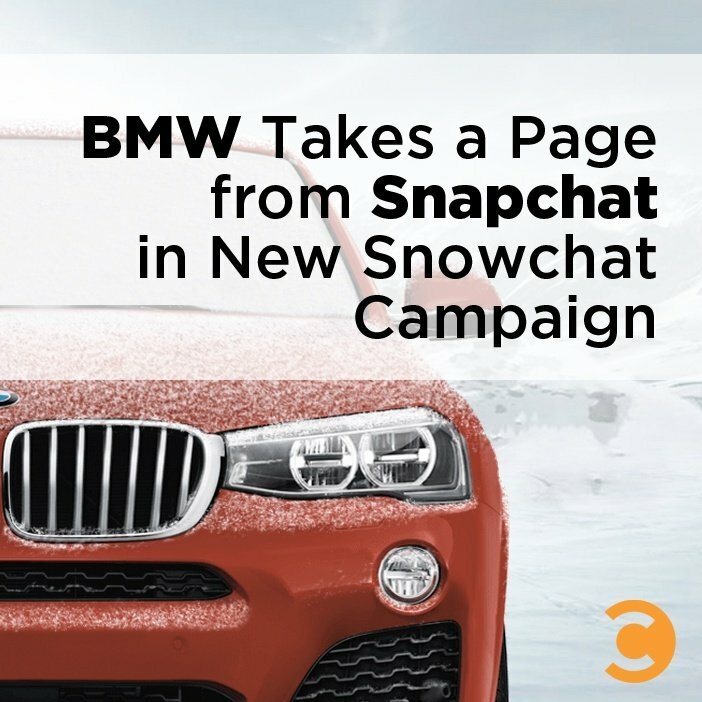 However, instead of just hosting a similar campaign on Snapchat with messages created by BMW, the microsite and sharing options open up the initiative to a broader audience. Not all of BMW target X4 SUV consumers may use Snapchat, proving the value of understanding your target audience and tailoring the campaign and user experience to them. In the spirit of the campaign, here’s my Snowchat to you. Wishing the readers of Convince & Convert a creative and innovative 2015!